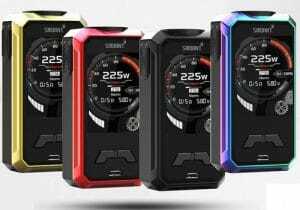 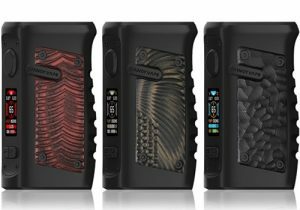 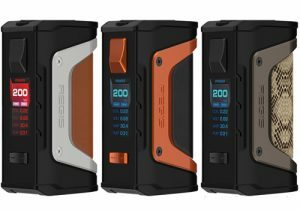 In addition to voice control, the I-Priv features 21700/20700/18650 battery compatibility, 230 watts of power, versatile temperature control, memory modes, a visually striking design and a myriad of available colors. 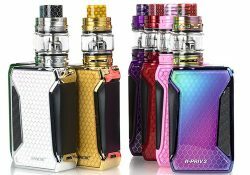 The Smok Resa Prince features a beautiful cobra resin design, massive vapor with dense flavors, an LED light coils, RBA options, a top fill system and bulb style glass with a 7.5ml capacity. 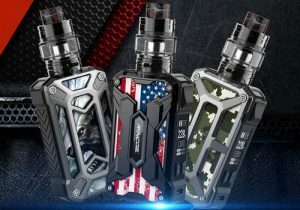 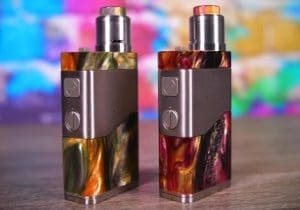 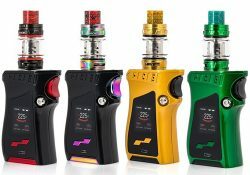 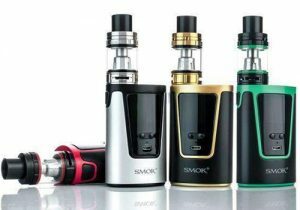 The Smok Mag Kit features 225W of power, a trigger-like fire mechanism, a gun handle form factor, handgun style battery loading, amazing ergonomics, low resistance capability, versatile temperature operation, 8ml juice capacity, top fill system and massive vapor output. 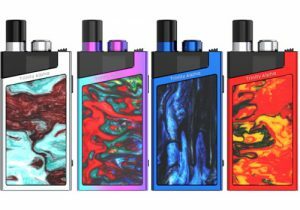 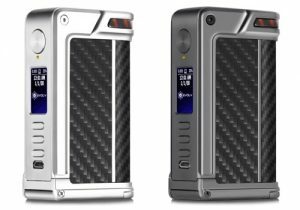 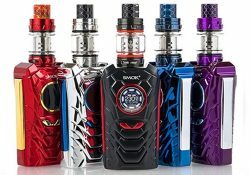 The Smok Majesty Kit Luxe Edition features a mod with ritzy glossy appearance, a high-class carbon fiber finish or cobra/prism combination, a max 225 watt output, versatile variable temperature modes and a full color display. 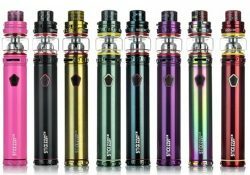 The mod is perfectly matched with the Smok TFV12 tank that features an 8ml e-liquid capacity, a top fill system and huge vapor production. 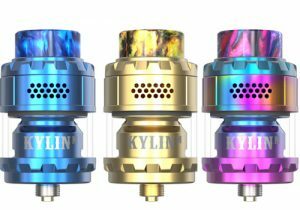 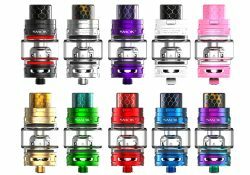 The Smok TFV12 Baby Prince Tank features a fast-heating mesh coil, coils with lights inside them, denser vapor output, a 4.5ml juice capacity, a top fill system with patented lock and massive external airflow that is enhanced by Cobra drip tips. 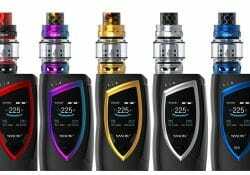 The Smok TFV12 Prince Tank features massive vapor output, mid to high wattage coils, a patented locking mechanism for the top fill system, a cobra drip tip and a massive 8ml tank capacity. 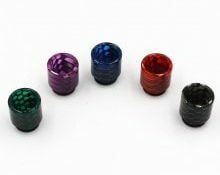 With a honeycomb like pattern, these drip tips are made from resin for a high quality look on your TFV12 Prince Tank. 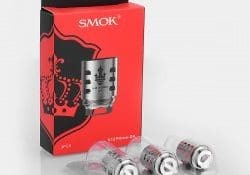 The Smok V12 Prince-RBA head is built with dual coils that have a combined resistance of 0.25ohm and produce huge vapor with flavor. 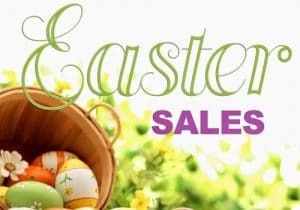 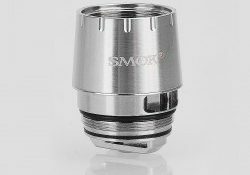 These heads fire with a 0.17 ohm resistance that has a range of 30 to 70 watts, is best from 45 to 55 watts and produces plenty of flavorful vapor. 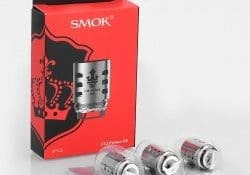 These 0.12ohm TFV12 Prince Tank Coils are built to fire from 60 to 120 watts and are recommended to be used between 80 and 110 watts. 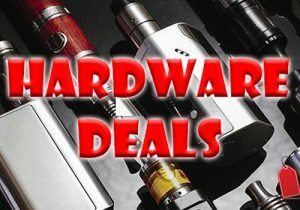 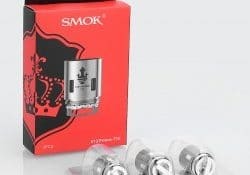 These 0.15ohm coils work with Smoktech's Prince tank and have a wattage range of 50 to 120 watts, but the recommendation is to use them from 80 to 100 watts. 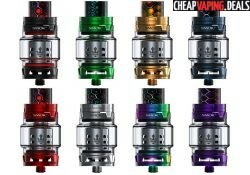 These heads are compatible with the Smok TFV12 Prince Tank. 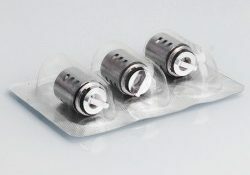 They have a 0.4 ohm resistance fire in the range of 40 to 100 watts, but best use is from 60 to 80 watts. 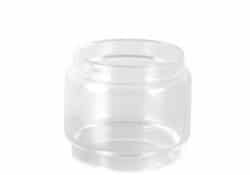 If you've broken your TFV12 Prince Tank's tube, look no further than this replacement glass that will perfectly install onto the tank. 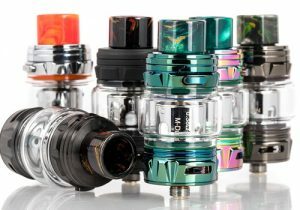 You can get either the bulb style 8ml tank section or buy the standard 5ml glass. 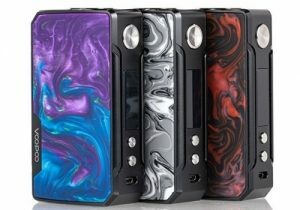 One piece is included with purchase. 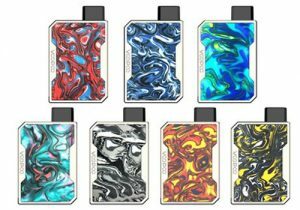 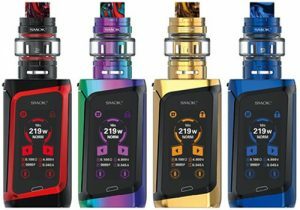 The Smok H-Priv 2 Kit features amazing aesthetics, easy of use, a top located display, dual 18650 batteries compatibility, versatile temperature control many coil options, a snake grain drip tip, a patented top fill system with lock mechanism and a massive 6ml capacity. 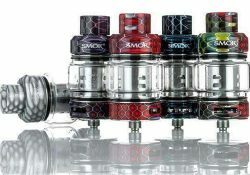 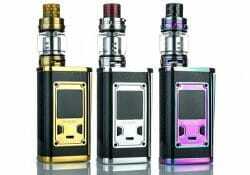 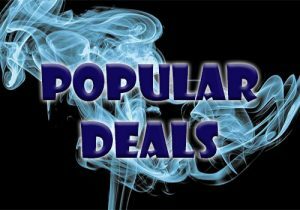 The Smok Stick Prince Baby Kit consists of a tank with battery mod. 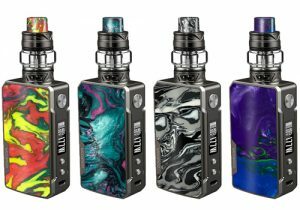 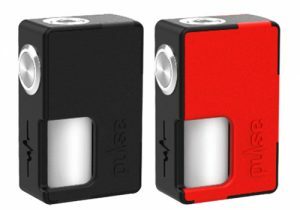 The new setup features the company's latest mesh coil for amazing flavor production, a 2000mAh battery, a micro USB charging, a 4.5ml tank capacity, a top fill system with patented lock and a portable design. 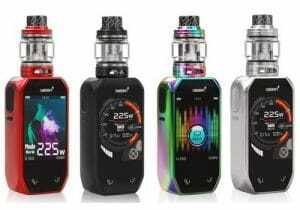 The Smok Devilkin Kit features 225 watts of power, a full color display, blade shaped accent lines, versatile temperature control, low resistance capability, an outstanding cobra drip tip, an 8ml juice capacity, a top fill system with lock and amazing vapor production.